Save the date! 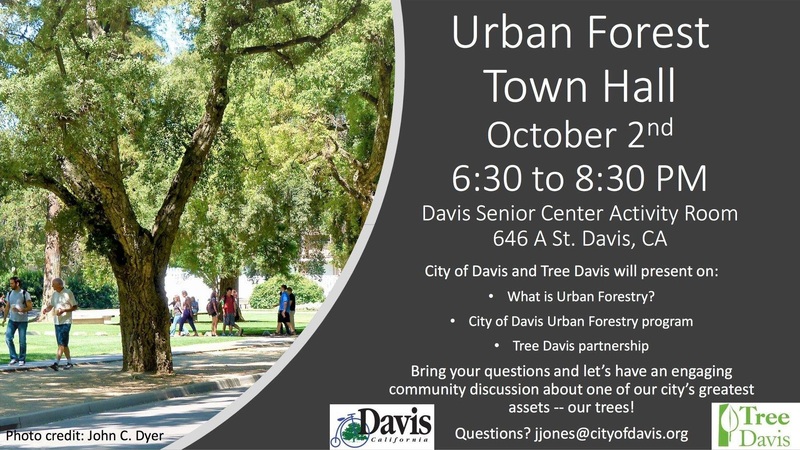 Cool Davis partner (and office mate) Tree Davis is hosting the first ever Urban Forest Town Hall on October 2nd from 6:30 – 8:30pm at the Davis Senior Center. 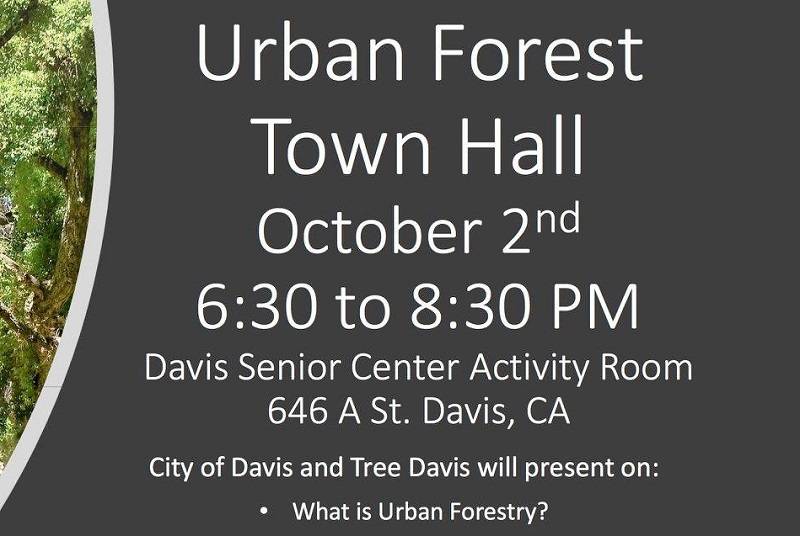 The City of Davis Urban Forester Julia Jones and Tree Davis representatives will present on the basics of urban forestry, the City’s Urban Forestry program and its partnership with local non-profit Tree Davis. Please bring your tree questions and be ready for good conversation. Hope to see you there! Tree Davis is dedicated to keeping our community green, clean and cool by enhancing and expanding our urban forest. Our dedicated volunteers have been planting, monitoring, and caring for trees in the Davis area since 1992. Click the links to learn more about our Mission and History. We invite you to learn more about our programs and the benefits of community trees. We hope you will consider joining us as a member with a donation or volunteering! Thank you for browsing our site and we hope to see you at one of our events.